Nissan unveiled a sleek new EV Concept Vehicle, named the Nissan IMs Concept, at this year’s edition of the North American International Auto Show. 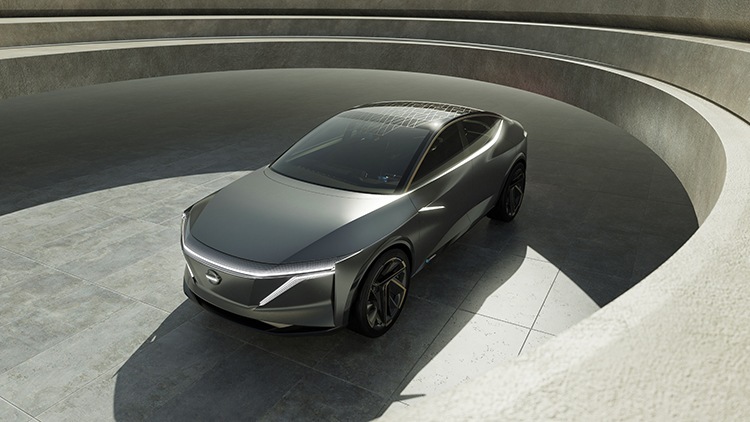 Nissan describes their new electric concept vehicle as an “elevated sports sedan.” The name IMs comes from the term Intelligent Mobility, which Nissan uses to describe its automated technology. “Fully embracing the three pillars of Nissan Intelligent Mobility — Intelligent Driving, Intelligent Power, and Intelligent Integration — the IMs Concept moves toward the creation of a sustainable mobile society in the form of EVs, autonomous drive, and connectivity technologies,” said Denis Le Vot, Senior Vice President, Chairman of Management Committee, Nissan North America. The new Nissan IMs Concept is equipped with All-Wheel-Drive and comes powered by Dual Electric Motors – located at the front and at the rear of the vehicle. In addition, the Electric Powertrain generates 483-Horsepower and 590 lb-ft of Torque. Plus, the 115-kWh Battery provides an estimated total driving range of 611 kilometres, on a single charge. 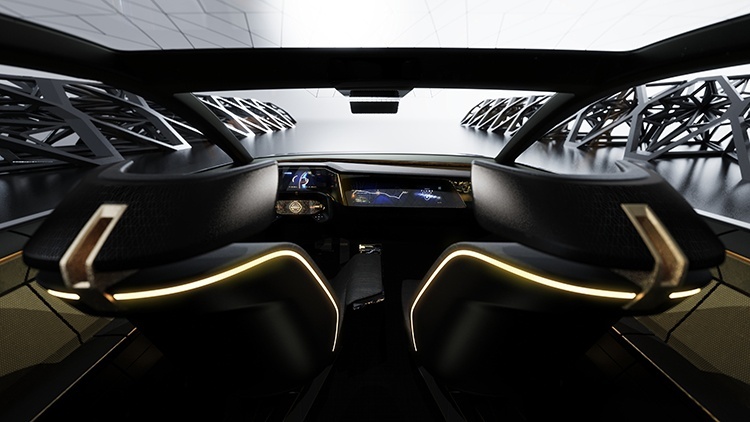 This Nissan IMs Concept can also be switched to autonomous mode. When in autonomous mode, the headlights and rear combination lights turn blue, and blue lighting can be seen from the front to the rear of the vehicle – notifying other drivers (and also pedestrians), of its autonomous status. The exterior of the Nissan IMs Concept features 22-Inch Wheels, a V-Shaped Lighting Design (in place of Nissan’s Signature V-Motion Grille), and “Liquid Metal” Paint, which gives the IMs a futuristic look. Inside, you’ll find a lounge-like interior space, with Pivoting Front Seats (for when you’re in automatous driving mode), and a Rear Bench that can fold up to create a Premier Seat! Don’t get too excited just yet though, as the Nissan IMs Concept is not set for production, and is again only a “Concept Vehicle.” However, some good news is that Nissan does plan on producing 8 more EV’s by 2022, as part of its new “Move to 2022” strategy, which is Nissan’s plan to sell up to 1-million EV’s per year by that time. Presently, the Nissan Leaf is the only EV that is produced by Nissan. If you would like to learn more, or are interested in stepping into a Nissan, then please contact us at Guelph Nissan! We are always happy to assist!